As the year 2010 comes to a close, Robert and I thought it would be fun to look back on some of the top stories of the year on Violinist.com. We have assembled here a list of the top blog posts and threads of the year, based on page view data. Interestingly, they covered a range of topics. 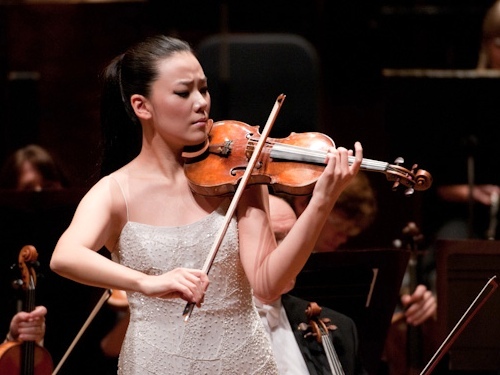 In current events, Clara-Jumi Kang won the Indianapolis competition; Sarah Chang attracted a lot of attention with her problems in Detroit, and people expressed concern surrounding suicide of teenage violinist and Rutgers student Tyler Clementi. Top interviews were not just with the "usual suspects": Attracting the most attention were Dutch violinist Janine Jansen talking about the lesser-played Britten Concerto; American violinist Dylana Jenson talking about her long search for the right violin, and injury-prevention specialist Diana Rumrill giving us advice about keeping healthy. V.com readers also were interested in talking about violins and violin technology, with top threads about PI Infeld strings, looking for violins and a lively discussion about a new kind of violin bridge. So here are links to the top interviews and threads of 2010, enjoy! Who are some of the better not very well known soloists? Thank you for this list of blogs and discussions - they are all brilliant things to look back at and review over.